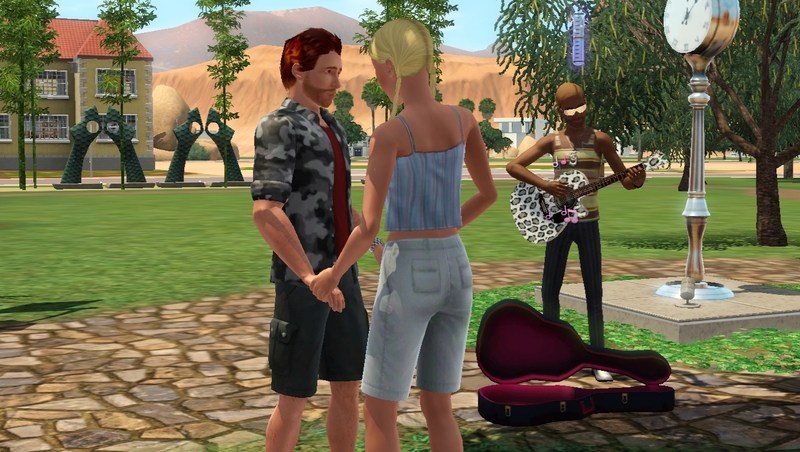 Generation 1: Meet the Spouse! Roxanne Tang, the first Generation. Born to Logan and Brooke, Roxanne has just become an Adult and is ready to contribute to the Wolfe legacy as Alexander’s spouse. 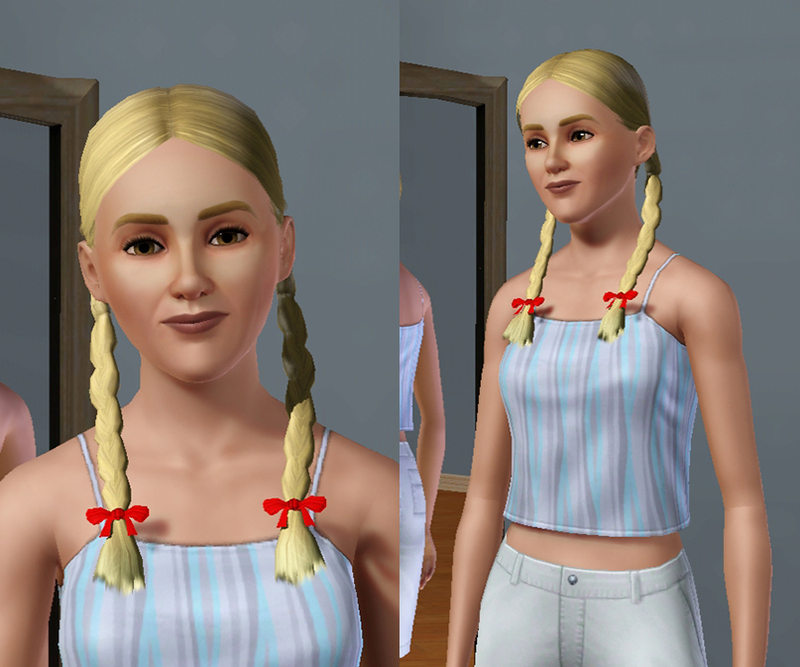 Roxanne grew up in the outskirts of Austin in the southern states of Sim-Nation. Growing up in the arid desert, she doesn’t mind the heat of Lucky Palms. Highschool sweethearts, Logan and Brooke got married shortly after graduation and never left their hometown. Her father Logan was a grease-monkey in a mechanic’s garage while her mother Brooke found employment in the local bookstore. Roxanne inherited her father’s ability to work with his hands, and her mother’s modest sensibilities, but her love of dangerous and exciting situations did not come from them. After rescuing several classmates from a Science-room explosion, Roxanne found she possessed the unusual talent to survive fires. Wishing to explore this further, she took up a career as Firefighter and was eventually transferred to Lucky Palms. After meeting Alexander Wolfe during a routine kitchen-fire, they began to date and fell in love. Shortly after their marriage, she gave birth to a pair of healthy twin boys. She is currently pursuing her lifetime goal of becoming a Rock God. Unflirty: Cold feet, wet blanket, frigid, these are some of the attributes of meeker Sims. They can still find love, but it’s harder to do so. Handy: Give her a wrench and she can fix anything! Nuts and bolts are no match for her tinkering. Clumsy: Oh, Roxanne! Dropping this, spilling that, you have such butter-fingers! Lucky: But with the luck of the Texans she won’t muck things up too badly. Immune to Fire: Fire cannot kill a dragon, neither can it harm Roxanne. She’s basically a superhero. She earned this trait from the Fireman career. Rocker: Hey hey, my, my; rock n’ roll can never die! 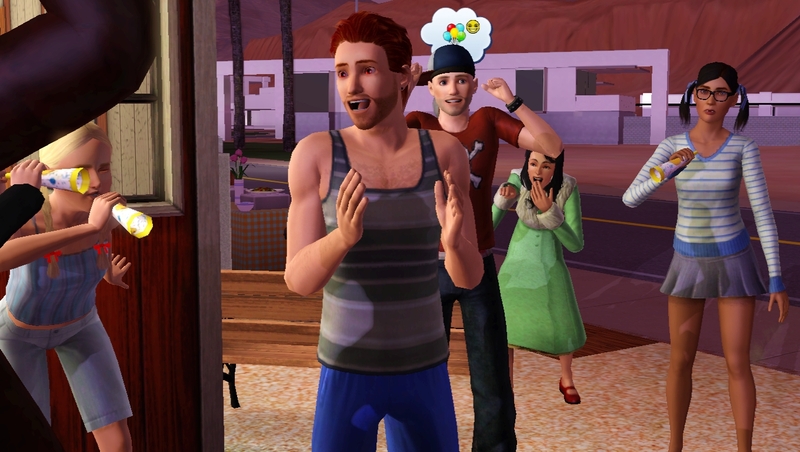 Sims with this trait are more likely to rock! She earned this trait from the Music – Rock career. Rock Star: Roxanne wants to be a rock super star, to live large. With a big house, five cars, and be in charge. Her lifetime goal is to reach Level 10 in the Music – Rock career. Favourites: Roxanne’s favourite dish is Autumn Salad, she loves Classical music, she enjoys the colour Aqua, and she is a Leo. There will be a test later on these! Alexander has 0 days until he ages up, so he threw a birthday party. Alexander has 20 days left until he ages up again. Ezekiel’s fiancé Yolanda is also an elder. Ezekiel himself plays for tips in the library and the park, but never gets very many. In the wee hours of night Alexander earned his promotion to Evil Sidekick. Roxanne moved in and brought a whopping $0 with her. 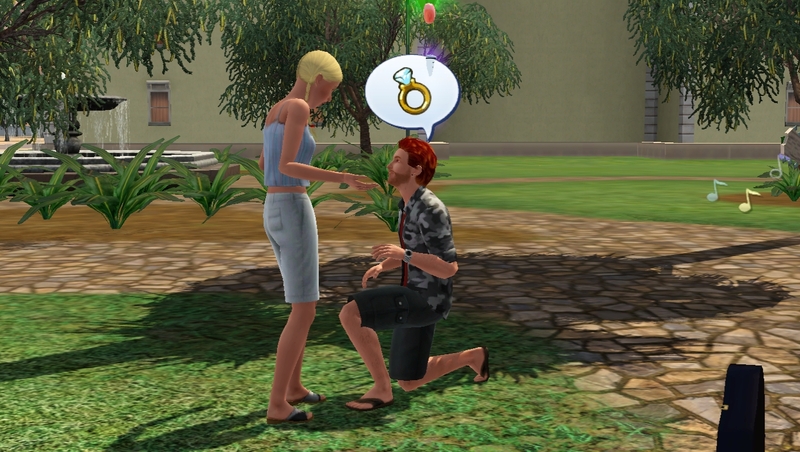 I know the Founder isn’t allowed to marry a Rich sim, but could she at least have a little bit of money? The wedding gifts and taxs brought in $2,800, so that’s cool. Alex also cashed in his v-card … if you know what I mean. I purchased the first of many extravagances … extravaganzas… uh, expensive thingies, by investing in the Desert Diner. It takes a while for invesestments to pay itself off, so I have to start buying things AQAP. Alexander found a Mysterious Mr. Gnome at work. These things are pretty cool. I think Roxanne is pregnant because she threw up, but the option to “Try for Baby” is still available so I’m not quite sure. Alex earned his level 10 in Athletic, I’m hoping this will increase his life a bit. 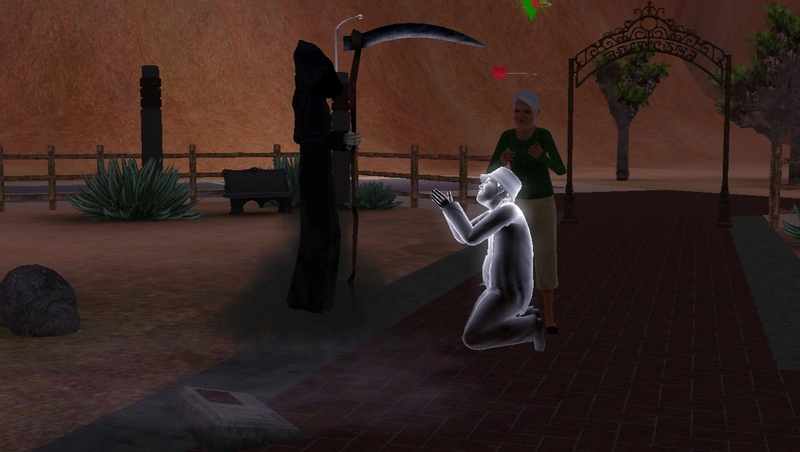 Ezekiel took Yolanda to see “Throbbing Hearts”. It sounds extremely violent! 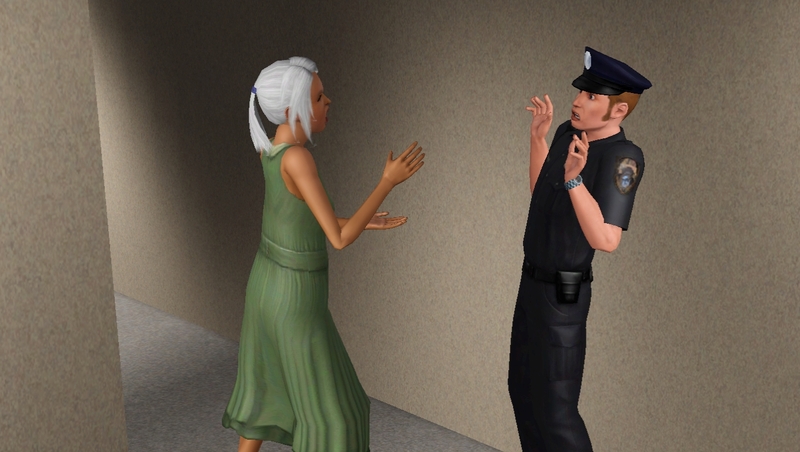 Installed some new mods here: One tweaks the lighting, the other increases chance of Burglary. Because that never happens often enough. I stopped here to install World Adventures. 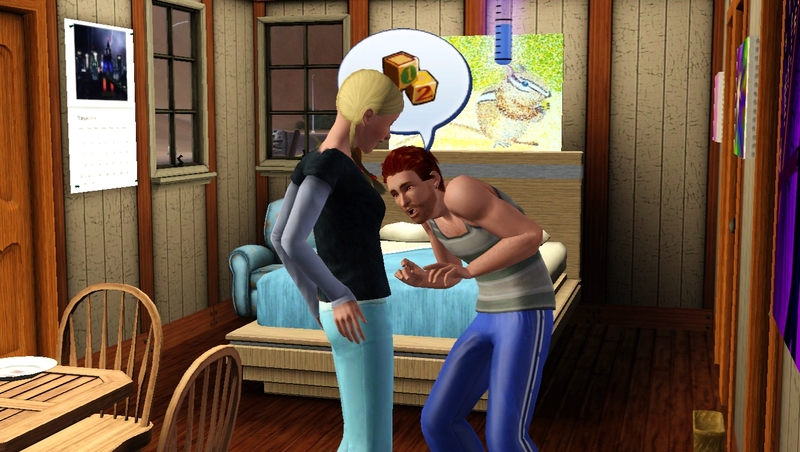 Baby’s come out of tummy? Bought the family a telescope. I’m very concerned my lot is turning into a giant junkpile because I’m terrible at designing houses. I’m going to fix it later when I save up enough money to make mistakes. Naomi was at the cemetery with her friend Eli Vokaban when he passed away. Alex promoted to Super Villain. Just one more to go! Naomi is still very upset about Eli and got her level 10 in Gardening. 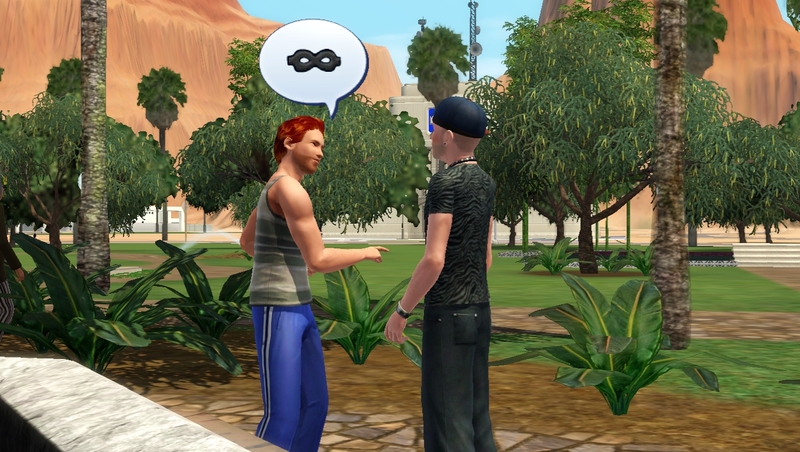 Naomi found a random tourist hanging out in the desert. 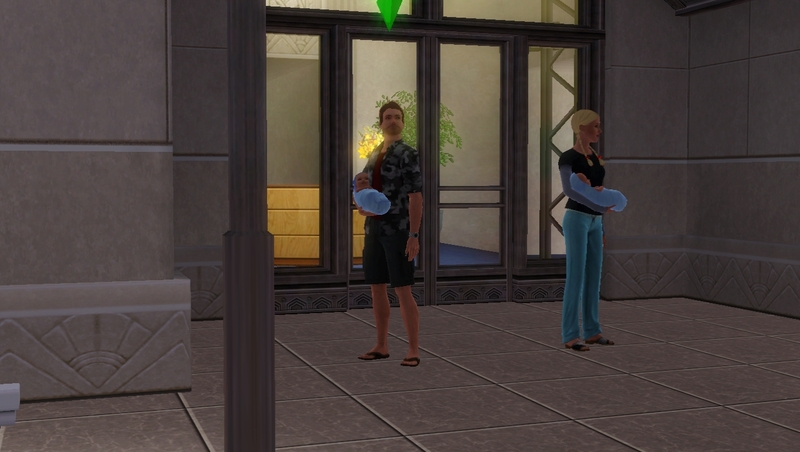 Roxanne gave birth to twins, Tristan Wolfe and Virgil Wolfe. Each more identical than the last. Which child will grow up to take on the mantle of Generation 2 Heir? Who knows!? Apparently I made a mistake when I created the neighbourhood. I set all the empty lots to Small Parks, so every NPC looking for a place to hang out would stand alone in an empty lot instead of congregating in one or two lots. Roxanne grew into an Adult. After a second investment, Alex now owns the Desert Diner 100%. And that is that for the First Generation. Next step, Generation #2! Alexander has 7 days left until he ages up. People keep mailing the Legacy House random gifts like posters and plants. 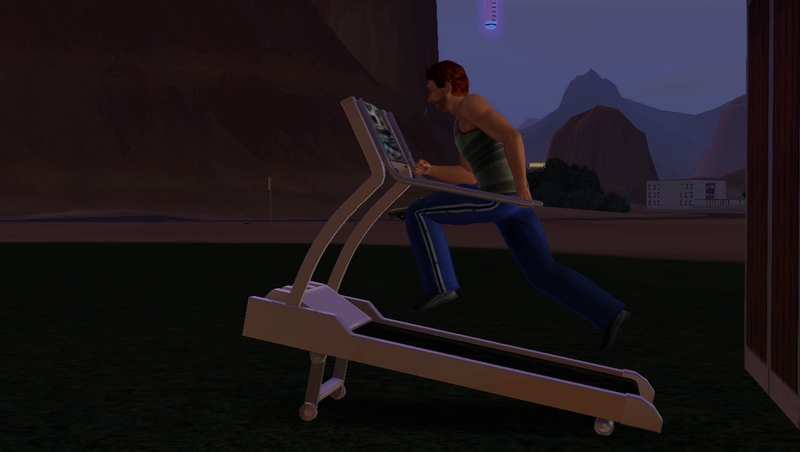 I bought the household a treadmill but there’s no room for it so I put it in the yard. I’m terrible at house design, I should fix it when I get the chance. I want to build either a man-cave or a secret treasure room. It’s the next best thing to running outdoors. Alex got promoted to Con Artist. 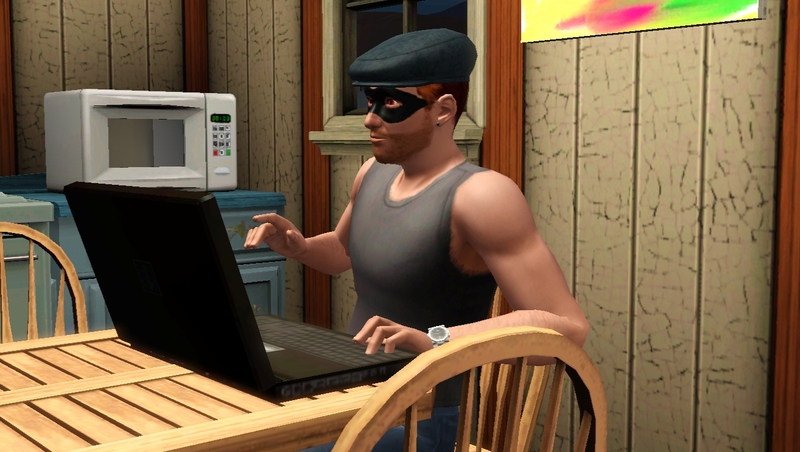 I guess he’s gonna have to learn how to swindle the neighbours out of their hard-earned Simoleons. 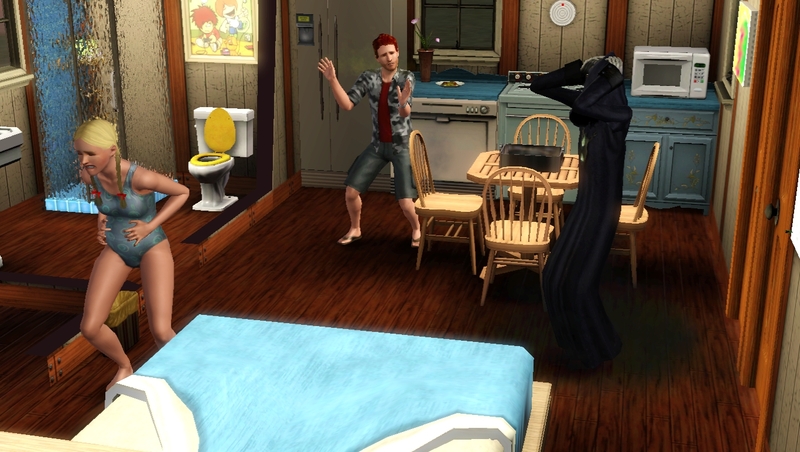 There are too many Sims on the Legacy Lot so they get a second bed. Ezekiel’s Lifetime Wish is to be a Hit Movie Composer, so he chose the Orchestra path of the Music career. I got a notification about my neighbourhood’s first death, Palmer Hayes. After 10 generations I’ll probably get a lot of these! I had to install a mod at this point to disable the constant Memory spew. It was getting a bit too much! It was very romantic, except for this creepy kid levitating around the park. Where are his arms? Naomi’s been running around the neighbourhood collecting seeds and gems. Hey, free money, right? 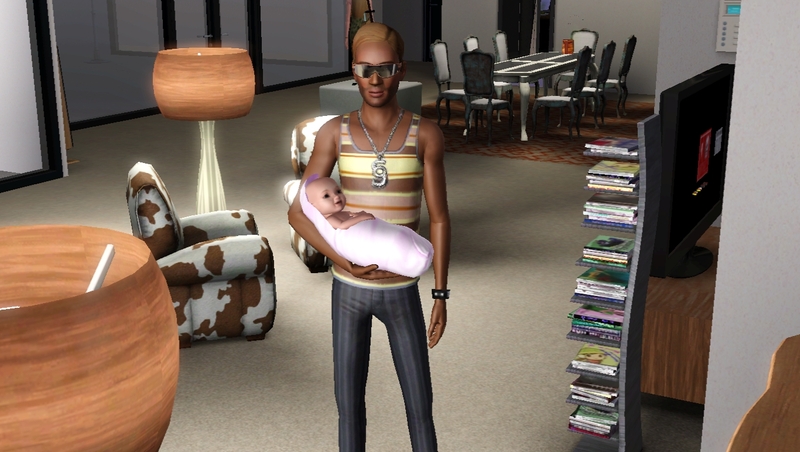 As well, Ezekiel and Yolanda had a little “accident” in the bedroom, so now they’re having a child. 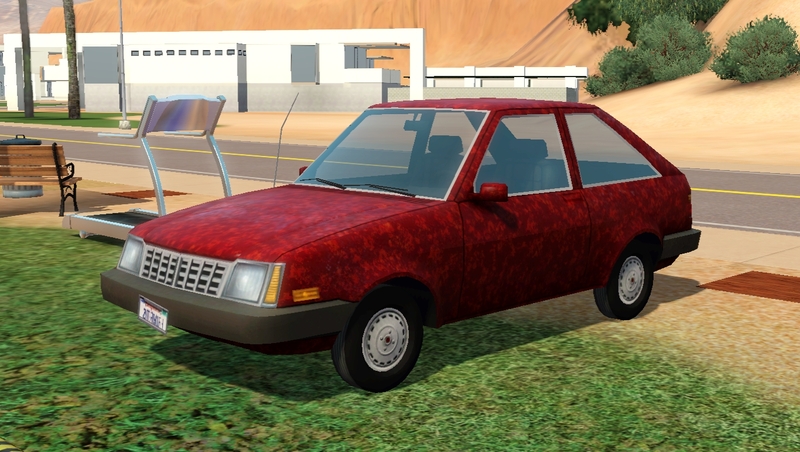 Alex was getting tired of taking a taxi everywhere, so he bought a Sloppy Jalopy. Ezekiel is afraid of swimming, but he tried it anyways. And hated it. 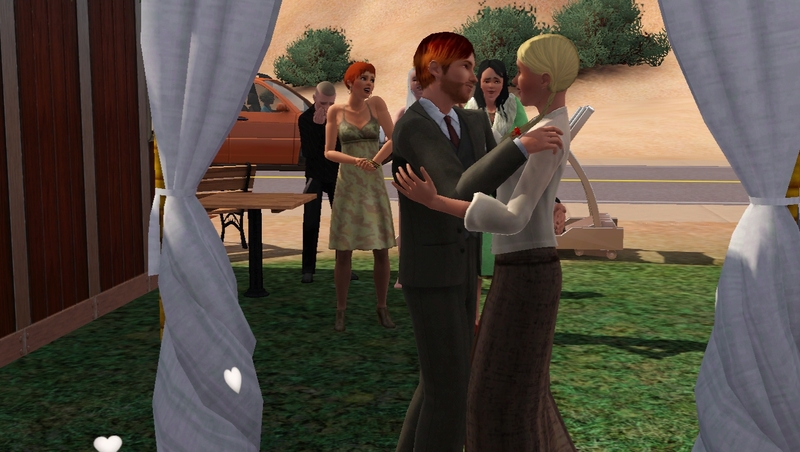 Ezekiel’s old roommate Pansy got engaged to Cricket Irwin. It seems the StoryProgression created my neighbourhood’s first lesbian couple. Naomi started working on my first Legacy painting, the one of Alex. Last time I referred to Alex’s boss as a Godfather, but it turns out she’s a woman named Evangeline Finch. The Godmother, if you will. Anyways, she asked him to become friends with Clark Bellamore, but he is never at home and never wants to visit. Where is this guy? Ezekiel bought a book on pregnancy, so he can learn all about it. Except..
..Yolanda went into labour before he could finish the book. The baby is called Ginny. Ezekiel is a proud papa! 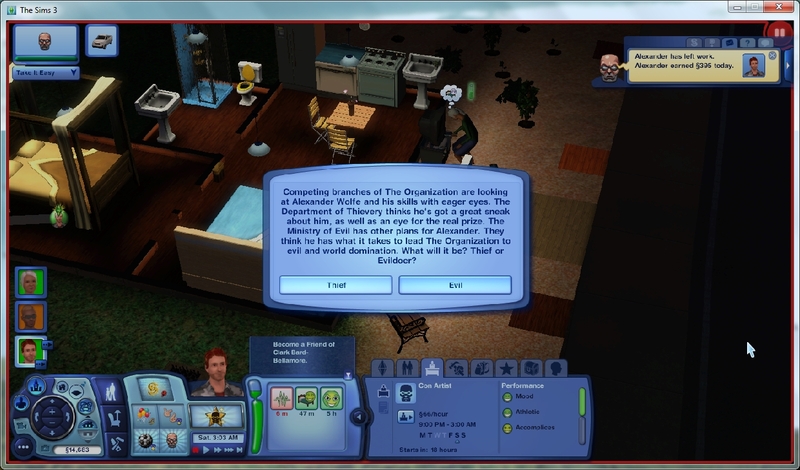 Alex is given the option of joining the Thief stream or the Evil stream. His Lifetime Wish is to become the Emperor of Evil, so the choice was obvious and he was promoted to Henchman. Now he’s gotta learn how to hench. Evangeline must have rubbed some people the wrong way, because she got whacked. Alex’s new Godmother is the newly eldered Lola Lancaster. She still wants Alex to meet that Clark fellow, and it turns out he’s glitched and needed a good resetSim. He looks pretty young, but he’s married to an elder called Isadora Bard. 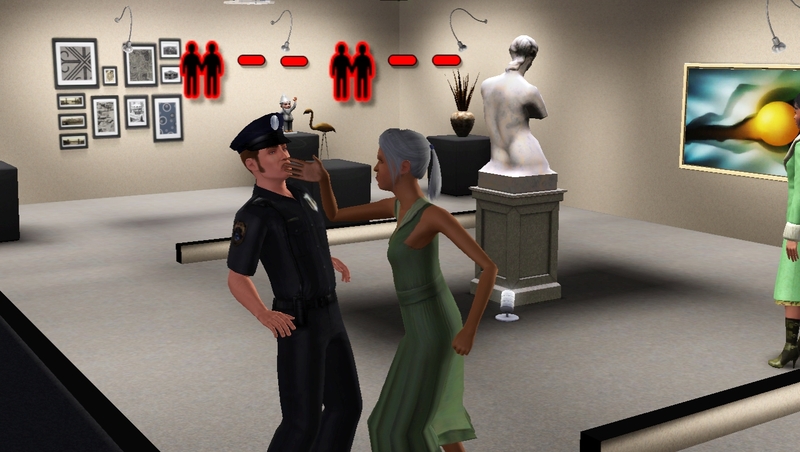 They were having fun at the Sunshine Art Gallery until they ran into Donnovan Steel, the Police-Cop. She doesn’t like how he keeps picking on Alex and arresting him for petty crimes like breaking the law, so she gave him a piece of her mind. Also it turns out his mother is a llama!